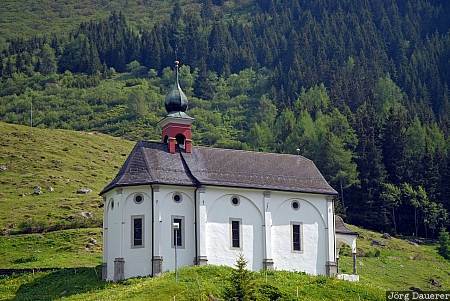 A chapel near the small town of Andermatt in the Swiss Alps, Canton of Uri, Switzerland. This photo was taken on a sunny day in June of 2006. This photo is part of the exhibition Lonely Chapels (October 2010). This photo was taken with a digital camera.